Although Amsterdam is full of excitement, adventure, and enough to keep you occupied for as long as you need, sometimes it’s good to get away from the tourists and visitors and try something a little different. You may never have heard of Hilversum, Delft, or Alkmaar before, but they are all within an hour of Amsterdam, and they are all worth a visit – each one offers something new for the visitor who wants to explore. 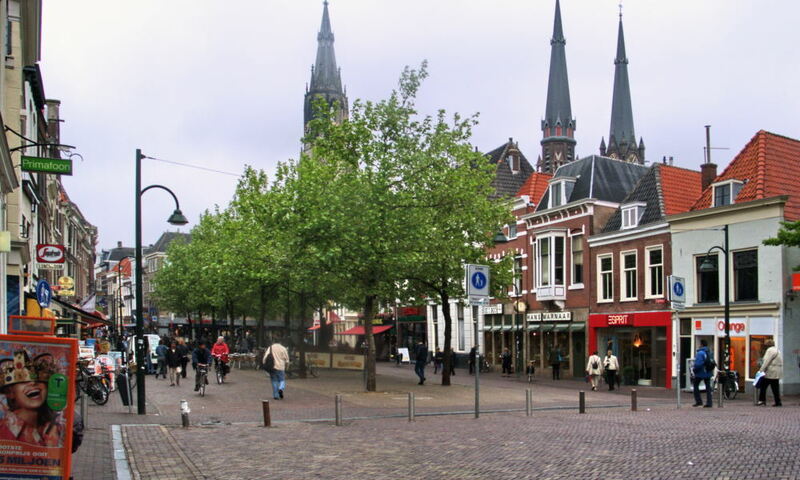 Situated around 19 miles (about 31 kilometres) from Amsterdam, Hilversum (known as ‘Media City’ thanks to it being where most radio and TV from the Netherlands is broadcast from) is a pretty city, surrounded by woodland, heathland, meadows, and lakes. Here you can visit the Sound and Vision Museum, which details the history of radio and television in the Netherlands, and includes a fascinating and informative section on Radio Netherlands, which began life in 1920 in Hilversum itself. This is a massive, interactive experience with special activities for small children. You can also – as a complete contract – go to St Vitus Catholic Church, and enjoy the ancient architecture. Make special note of the church tower; at 98m tall it makes it the highest church tower in the country. The interior frescoes and wooden ceiling are also beautiful. The name ‘Delft’ may be familiar to you in terms of the famous pottery that comes from this region, but the town itself is more than that. Easy to explore on foot or by bike, Delft is a lovely day out, away from the hustle and bustle of city life, and it’s only a one hour train ride away from Amsterdam. The central ‘Markt’ (market) is famous for its fresh produce and innovative gifts, so do try to catch it when you are visiting. Many stalls offer a ‘try before you by’ option, so if tasting new food and drink is something you enjoy, this would be a great experience for you. Not only are the goods great, but the market itself is pretty and traditional. Take a look at the Museum Het Prinsenhof, which tells the story of William of Orange and his role in creating the Netherlands as we know it today. Or why not stop by the Delftware factory? It dates back to the 17th century and is still making the world renowned blue and white porcelain it did then. Alkmaar has been around since the 10th century, and has grown into a lovely little town that welcomes visitors with open arms. It most famous attraction has to be the famous cheese market, which can provide many an hour of enjoyment. See how cheese is made, how it is transported, and speak to the producers themselves. Taste some of your old favourites or try something a little different (the producers here love to experiment with flavours), and take some home with you to enjoy. Another of Alkmaar’s attraction is the Beatles Museum. The Fab Four visited the Netherlands just once, in 1964, but it has never been forgotten, and this shrine to the Beatles is proof of that. Waxworks, memorabilia, and an old fashioned record shop make this a fun and nostalgic attraction. Find ferry sailings to Amsterdam.